Once again, we’re on the hunt for YOUR Big Idea – what are the things only you can say? We believe everyone has a unique vantage point in the industries, communities and businesses they work in. At the Big Ideas Summit 2016, which takes place on 21st April, we will be asking our speakers and attendees to record their ‘Big Ideas’ live on camera for the whole of our Procurious community to see. This was a huge success last year and if you’re keen to see some of the videos from 2015, head over to the learning section for some inspiration. 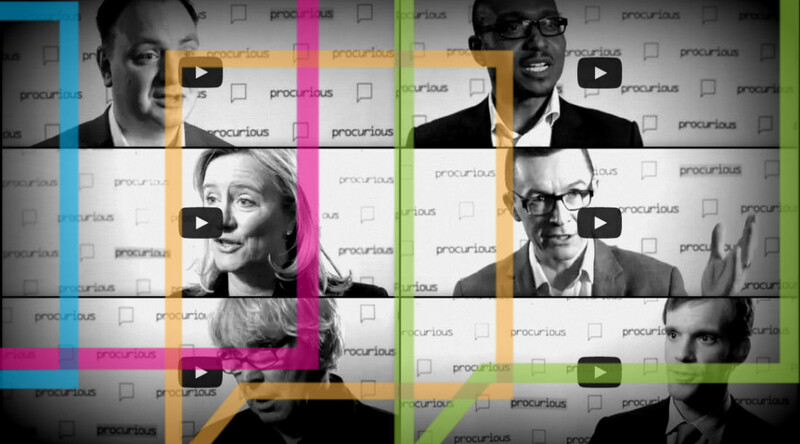 Procurious wants you to share your ideas with our community by creating a 60 second video. It’s super easy to do this on your computer, laptop or phone – whatever works for you! We’ve provided some more detailed advice below on how to submit your Big Idea. You can make the most of your unique position as both a procurement professional and Procurious member by telling us what you think is the next Big Idea that will change the face of the procurement profession, based on some of the amazing experience and insights you have. Your video will help to generate interest and discussion on your Big Idea, give you the chance to share your wisdom with a global procurement community, and provide you with a platform to amplify your thoughts, and turn you into an influencer. We will also be using your submissions to help guide the conversations and discussions at Big Ideas 2016. Why not have a look at one of last year’s videos. Bertrand Maltaverne had a great Big Idea to share with us and we’re certain you do too! Probably the easiest way to record your video is to use the camera on your phone, laptop or PC. We’re not expecting a Hollywood-style production, just so long as we can see your face, and, just as important, hear your great idea. If you’re struggling to record it on your phone, get a friend, family member, colleague, or trustworthy stranger to hold it for you! Remember, we’re only looking for a 60-second video, so know what you’re going to say, and practice a few times. Once you’ve finished, and saved the video to your device, you then have a couple of options for sharing them with us. Want to submit your video using a good old-fashioned email? We’ll absolutely accept that! In the body of the e-mail, give us a one or two sentence synopsis of your Big Idea so we can upload this information to the website too. Is the video file size too large for e-mail? Then why not share it with us on Google Drive or Dropbox. Both systems are free to use and are simple to set up. For Google Drive, get started using these instructions, upload your file, and then click to share with Procurious. You can use [email protected] for this too. For Dropbox, you can find all the information you need here. Again, upload the video file, and then share it with us. Alternatively, if you have always dreamed of being an Internet star, you can use YouTube. In order to make your video easy to find, we’d recommend using the #BigIdeas2016 and Procurious tags – but feel free to add more! After that, you can sit back, relax and watch your number of views rocket! If you have any questions (and we mean, any questions at all) about creating your video, sharing it, or what we plan on doing to it, please get in touch. One of the team will be able to talk you through what you need to know. We can’t wait to go through all of your submissions and hear your Big Ideas for Procurement. So…what are you waiting for? Get recording!